ColdCure® Foot Ice Packs are FDA registered Class I Medical Devices - that's serious! The innovative technology of ColdCure® is unmatched. Nothing else even comes close. Our ColdCure® Foot Wraps fit better, last longer, stay colder, work faster, target pain better, and are made of ultra-safe materials. You can be sure that a King Brand® cold compression Foot Wrap with ColdCure® technology is far more effective than any other product on the market in many, many ways. Start feeling better today. Whether you suffer from a soft tissue injury or a chronic condition, there is no better treatment for pain and swelling than a ColdCure® Foot Wrap. Nothing is faster or more effective at reducing pain than cold and compression. There are a lot of wraps out there, but none come even close to ours. King Brand® ColdCure® Foot Wraps use both cold and compression to bring you the absolute best performing cold compression device available. Our Foot Ice Packs have many benefits other products don't. Click here for more about ColdCure®! Only King Brand® ColdCure® Therapy gel packs contain XC RigiGel®. This specially formulated gel is soft to the touch but doesn't move around under pressure. This means it stays in place to treat your injury, so you get an even and consistent cold treatment over the entire injured area, every time. No matter how hard you press on the gel, it stays in place. It will give a bit for comfort, but it won't move away from your painful injury. Keeping the cold on your injured foot throughout treatment is very important if you want to relieve the pain as quickly as possible. Unlike traditional gel packs, XC RigiGel® does not flow away to other parts of the pack, even when put under heavy pressure for long periods of time. 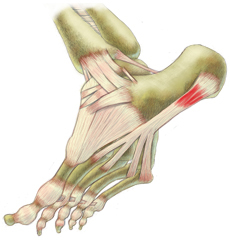 Keeping the pressure and cold on the injured area of your foot is critical for effective relief of pain and swelling. In terms of flex and form, XC RigiGel® packs feel exactly the same at room temperature as they do straight out of the fridge or freezer. They're firm yet flexible at any temperature for the most comfortable treatments possible. While the gel itself doesn't move around inside the pack, the cold energy does. Traditional ice packs have hot and cold spots, but our XC RigiGel® formula distributes the cold energy evenly throughout the pack. When cold pressure is applied to an foot injury, the gel starts to warm up in that specific spot faster than the rest of the pack. Our temperature balancing gel works to move the cold where it's needed within the gel pack, eliminating the potential for hot spots. This means your painful injury will receive the cooling power of the entire gel pack every time. The hyper-conductive power of these gel packs is unmatched. Above we discussed our top end ColdCure® Therapy Foot medical device. This section is dedicated to our affordable KB Basics Foot Cold Pack. 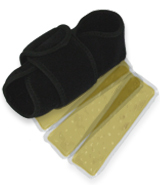 The Foot Cold Pack is an economical alternative to our ColdCure® Foot Wrap. While our ColdCure® products are FDA Registered medical devices, the KB Basics products are consumer goods. The KB Basics Foot Cold Pack comes with 1 RigiGel® pack sewn inside. This means it always stays in place to treat the sore, swollen areas of your foot. The Cold Pack is custom designed for the shape of the foot and is made of elasticized materials, allowing you to slip it on and off easily. There's no hassle involved because there's no adjustment required. Wearing the Foot Cold Pack is comfortable because it's soft, light and breathable. It's ideal for people who love cold because the RigiGel® pack inside has outstanding cold capacity and contains more gel than ordinary packs. This means longer treatment times without having to re-charge the Cold Pack as often. Click here to learn more about these products! Our ColdCure® products are FDA Registered medical devices. Medical grade products like ColdCure® are required to meet very high standards of safety, quality and efficacy. And it's these high standards that the devices are designed, manufactured and tested to. King Brand® ColdCure® Wraps are not consumer goods. They are high quality medical devices designed to prevent, treat and cure serious soft tissue injuries. Click here to learn more about the importance of FDA registration! Copyright 2011-2019 King Brand Healthcare Products® Limited. All Rights Reserved. Meniscus Injury Treatment, Muscle Injury Treatment, Neck Injury Treatment, Plantar Fasciitis Injury Treatment, Shoulder Injury Treatment, Tendon Injury Treatment, Wrist Injury Treatment, BFST Wraps, Blood Flow Stimulation Medical Devices, Blood Flow Stimulation Therapy, Blood Flow Stimulation Wraps, LCL Injury Treatment, MCL Injury Treatment, ACL Injury Treatment, PCL Injury Treatment. 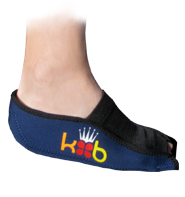 King Brand® ColdCure® Cold Therapy ice packs and gels are the best solution to your ankle soft tissue injury. 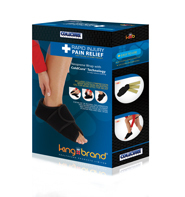 King Brand® ColdCure® RigiGel® Ankle Wraps hold the cold longer, stay in place and are safer than any other product. Treat your ankle pain with King Brand® for the best results.